A new study conducted by a team of experts from the University of Cambridge, revealed that drinking sugar-sweetened beverages increases the risk of suffering from type 2 diabetes, even without obesity. This new research removes weight as a factor, meaning that any sugar-sweetened drink consumer will potentially suffer from type 2 diabetes in the future. Results show that the risks increases between 13 to 18% over 10 years, just by having a single-daily serving of these beverages. According to the study, these products may be causing around 180,000 cases of type 2 diabetes in the U.S. It also predicts that by 2020 there will be 1.8 million cases of type 2 diabetes in the U.S. attributed to the consumption of sugar-sweetened beverages. For the analysis, the Cambridge University team recollected data from 17 studies, a total population of over 38,200 people. The experts established as sugar-sweetened beverages any sweetened drink, including sugar-sweetened fruit juices. 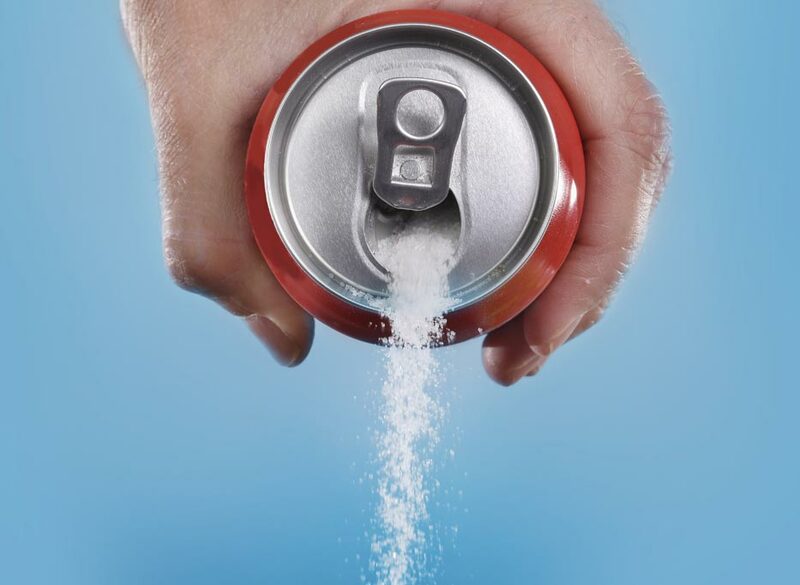 The study also found associations between type 2 diabetes and artificially sweetened drinks, however, evidence was not enough to include them in the list of the sweetened drinks that may directly cause type 2 diabetes. Still, researchers claimed that they would not recommend artificially-sweetened drinks as healthier options. Non sweetened coffee and/or water will always be the better choice. According to the American Diabetes Association, the type 2 diabetes is the most common form of diabetes. This condition, commonly known as insulin resistance, does not allow the body to properly use insulin obtained from different sources. Over time, and if it is not treated, the pancreas will not be able to produce the correct amount of insulin to keep the blood glucose at standard levels. Based on the numbers from the Association’s website, 29.1 million Americans suffer from diabetes, most of them from type 2. However, the study revealed that more than half of the population of the U.S., specifically 54%, consume at least one sugar-sweetened drink daily.